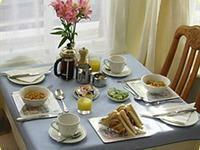 As part of your Bed & Breakfast experience at Cambridge House Guest House we offer a home cooked breakfast. Using only the freshest, locally sourced ingredients, our traditional full Sussex breakfast is the perfect way to start the day. Choose from our full and varied menu. 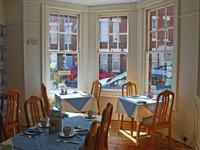 Breakfast is served in the dining room between 8.00am to 9.00am. Monday to Friday and 8:30am to 9:30am Weekends and Bank Holidays. Vegetarian diets can be catered for when booking. Cold Breakfast - Choice of cereals, fresh fruit salad, yoghurts and fruit. Sussex Traditional Breakfast - Sussex Pork Sausage and Bacon, Fresh Tomato, Mushrooms, Free range Egg (fried, scrambled or poached) and Baked beans. Optional extra on request Black pudding. Sussex vegetarian Breakfast - Quorn Sausage, Hash Brown, Fresh Tomato, Mushrooms, Free range Egg (fried, scrambled or poached) and Baked beans. Drink - Tea or cafetiere of coffee, Hot Chocolate, Fruit juice, selection of fruit and herbal teas. Special diets catered for please request in advance.